Enter your details and our staff will contact you within 24hrs to answer all your Preschoolers questions and schedule your tour. 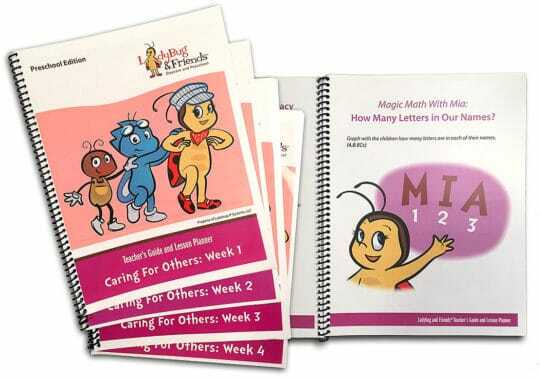 Mia the ladybug & her friends guide each child through their daily learning using our unique and fun curriculum. Our curriculum features Mia and her Friends, making learning fun! Develops a Natural Appreciation of Music – Our music instructor will help your child express emotions and ideas through shared musical experiences, using favorite, new and cultural songs, that expose your child to a wide range of rhythms, tempos, moods and help identify basic music concepts such as loud and soft, fast and slow, high and low. Mia never misses a class! Enriches Children’s Lives – Es hora espanoles! Hurra!!! Our Spanish teacher will expand your child’s knowledge and opportunities with new words and perspectives, it’s the perfect time, as research studies show childhood is the ideal time for exploring a second language with benefits in cognitive and language development. Combines Physical Activity with Imagination – Our creative movement instructor, encourages your child to move with activities such as gymnastics, yoga, dancing, flexibility, strength, coordination, concentration and spatial orientation are intertwined with imagination, self-esteem, competence, social skills and personal creativity. They are very fast at reacting when something is happening (virus outbreak…) and great at sharing infos with parents. They are always smiling and it really feels like they truly love each of the babies in their care, including our little guy. They aren’t in the business of ‘minding’ kids each day, they really want to develop the kids. We could not be more pleased with the care, safety and love our daughter has received.